​Preparing our students for their future, not our past. "Digital tools are now changing the planet. These new tools provide opportunities and a palette of possibilities for all students, not just a few." “To understand their world we must be willing to immerse ourselves in that world. We must embrace the new digital reality. What should a 21st Century classroom look like? When I think about a 21st Century Classroom, I see a classroom where students are actively involved and engaged in learning. More time and attention is spent on discovering information, finding solutions, and figuring out ways to create and present what has been learned. Students may be working in small groups, completing whole class activities, or working independently. The students and teacher are not fixed to the one spot but are able to move into different spaces as they work on integrated projects designed to increase communication, creativity, innovation, collaboration, critical thinking, and problem solving. In this 21st Century Classroom, technology is present but is not the main focus. Students and teachers are using technology to enhance learning and instruction, not just because it is there. Lessons and tasks determine what and how technology is used; not the other way around. Students and teachers are not necessarily doing the same thing the same way. There are many pathways to the same end result. Learning is differentiated and personal. Students are using the ways that work best for them to achieve the stated goals, whether those goals are teacher-directed or student-initiated. In this classroom, there is a “technology toolbox” available to enhance student learning. The teacher in this 21st Century Classroom will promote the use of technology through modeling and designing tasks to utilise tools and Apps students are familiar with. Using these tools allows students to be exposed to and learn more about the information, media, and technology skills they will need to be successful. A certain type of teacher is needed for this 21st Century Classroom. It requires a teacher who is willing to ‘have a go & possibly move outside their comfort zone.’ They also need to be interested in collaborative, reflective and creative practices and open to new ways of learning. The role of this teacher is very important and in order for this to be effective there needs to be continued support and quality PD available. Students and teachers in this 21st Century Classroom may be using things like, emails, blogs, cloud storage (e.g. 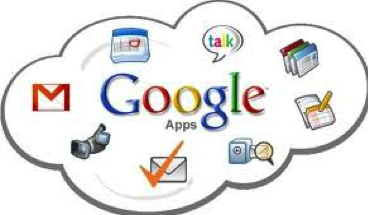 Google Apps for Education) and things we don’t even know about yet. But the main focus of this classroom and its teachers and students will be the LEARNING that is taking place whether using the newest forms of technology or not. The technology that is used will be the tool to bring about greater levels of learning.